Pavlovian stimuli exert a range of effects on behavior from simple conditioned reflexes, such as salivation, to altering the vigor and direction of instrumental actions. 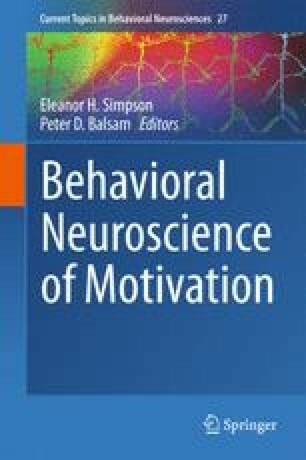 It is currently accepted that these distinct behavioral effects stem from two sources (i) the various associative connections between predictive stimuli and the component features of the events that these stimuli predict and (ii) the distinct motivational and cognitive functions served by cues, particularly their arousing and informational effects on the selection and performance of specific actions. Here, we describe studies that have assessed these latter phenomena using a paradigm that has come to be called Pavlovian–instrumental transfer. We focus first on behavioral experiments that have described distinct sources of stimulus control derived from the general affective and outcome-specific predictions of conditioned stimuli, referred to as general transfer and specific transfer, respectively. Subsequently, we describe research efforts attempting to establish the neural bases of these transfer effects, largely in the afferent and efferent connections of the nucleus accumbens (NAc) core and shell. Finally, we examine the role of predictive cues in examples of aberrant stimulus control associated with psychiatric disorders and addiction. This preparation of this chapter was supported by a Project Grant (APP1050137) to LHC and by a Senior Principal Research Fellowship to BWB, each from the National Health and Medical Research Council of Australia.